Knee pain is often a sign that the musculoskeletal system is not functioning as it should. Dysfunction in the spinal column can cause movement throughout the body that is out of balance and leads to strain and discomfort. Chiropractic can have a beneficial effect on knee pain that results from body imbalance. At Battlecreek Family Chiropractic in Battlecreek, MI, we can help restore physical balance and reduce joint pain. When the body is out of proper balance, strains and sprains of the knee joint can easily occur, even when engaging in normal activities. Tendinitis may develop, which causes inflammation and impairment of normal movement. The bursae that cushion movement in the knee joints can experience inflammation that is painful and can affect mobility. The kneecap can become dislocated, affecting normal function. Buckling of the knee can occur from weakened muscles. 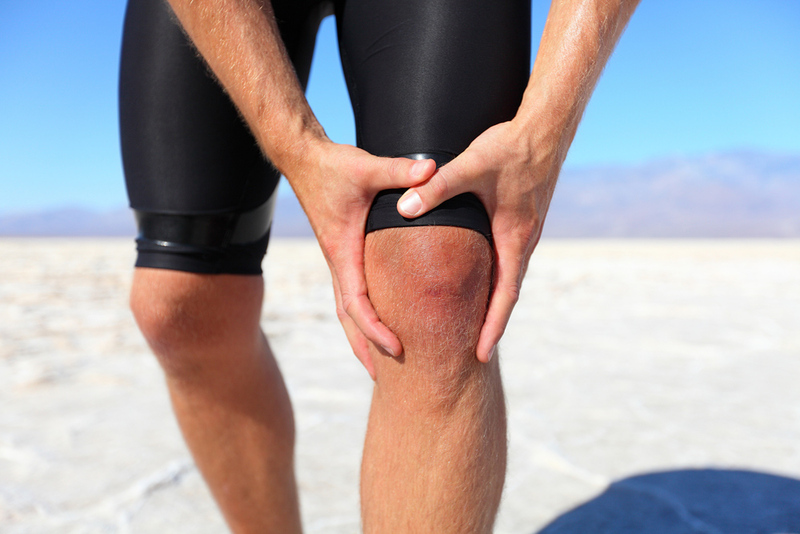 Knees can also become frozen, due to inflammation that affects ligaments, tendons, and cartilage. When the problems occur, your Battle Creek chiropractor can offer effective methods to relieve pain and improve function. Careful analysis of your physical function can help your chiropractor understand the underlying problems causing your pain and dysfunction. Dr. Casey can then design a care plan that focuses on specific areas of the body that are involved. Manual adjustment and other chiropractic techniques can re-align the spinal structures for more efficient body movement. The chiropractor may also use methods such as massage therapy that enhance the healing of soft tissues. Nutritional support can also aid healing, and ergonomic advice can prevent further injury of affected areas. Weight loss can help to relieve pressure on knee joints, and at Battlecreek Family Chiropractic, we can also provide advice and support for effective weight management. Make Battlecreek Family Chiropractic Your Chiropractor for Knee Pain! Dr. Justin Casey believes that health problems do not exist on their own, but rather, as a part of the overall state of the body. We offer individualized care that strives to maintain a total condition of wellness that helps patients resist physical dysfunction and improve their general state of health. We offer a variety of techniques for care, as well as nutritional counseling to achieve optimum health. Call Battlecreek Family Chiropractic today at (269) 966-2006 for an appointment to discuss your knee pain and the chiropractic treatments that can provide relief from pain and more effective movement.